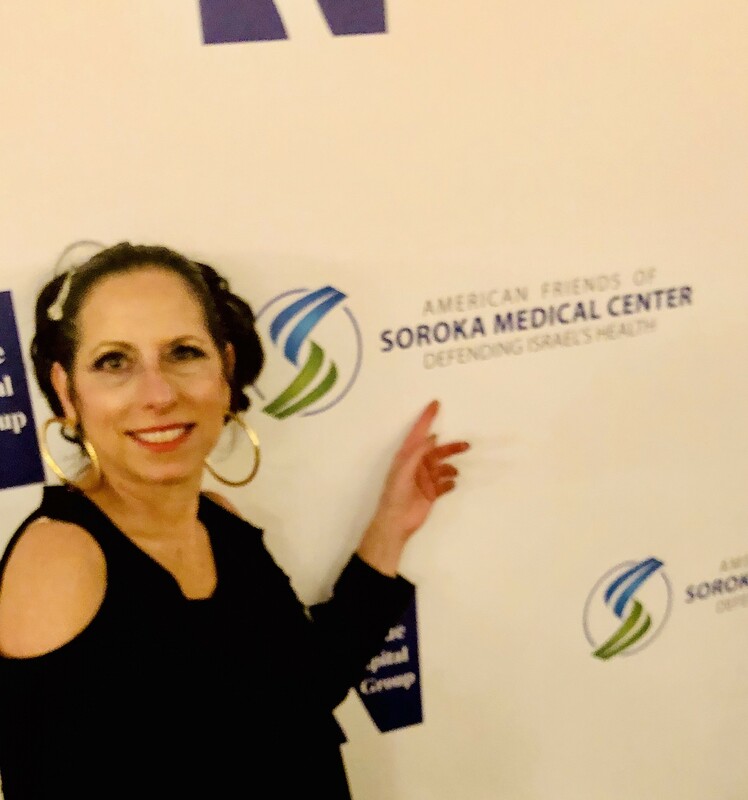 American Friends of Soroka Medical Center (AFSMC) hosted the Spirit of Innovation at Soroka Gala, during its seventh annual benefit dinner on April 3, 2019, at the Pierre Hotel in New York City. More than 400 guests joined for a lavish dinner and after party. 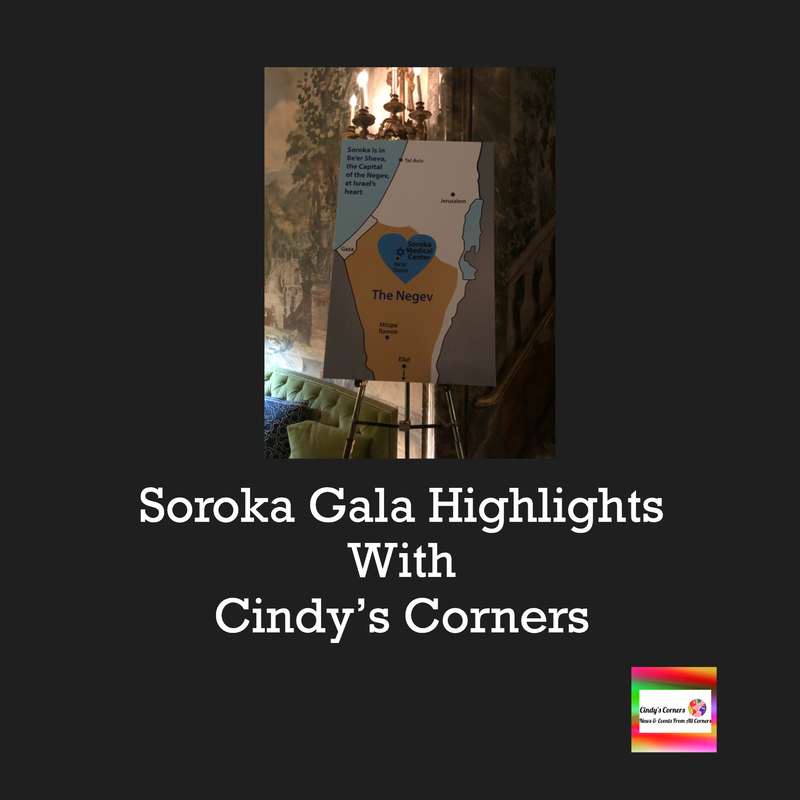 The event celebrated Soroka Medical Center’s successes in fostering scientific and medical innovation in the service of saving lives, positioning Soroka as a leader amongst Israeli hospitals and worldwide. 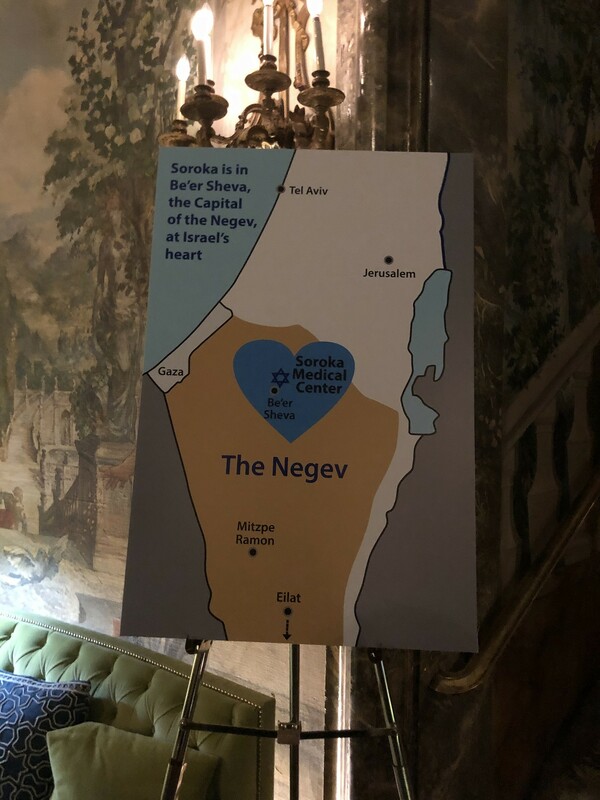 The Gala raised funds and awareness to support the new Negev BioBank, as well as acquire urgently needed equipment for its Genetics Institute. 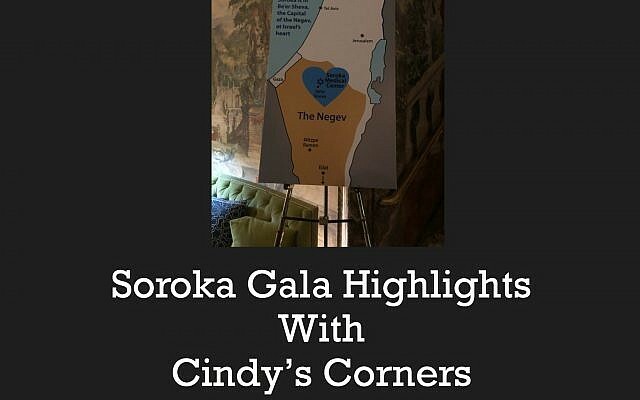 I was lucky enough to learn something about Soroka that few know—it is one of the only places in the world where Jews, Christians and Arabs live and work together, as doctors, staff and patients. Yes, in Israel, and yes, not spoken about enough!! Soroka Medical Center is currently working to develop the Negev BioBank (NBB), a joint initiative of the Soroka University Medical Center (SUMC) and the Ben-Gurion University of the Negev (BGU). This project, which began in November of 2018, is the first large-scale, population-based genetic archive in Israel. The NBB will create valuable research opportunities that are expected to yield powerful insights into early detection, disease prevention, and breakthrough treatments that will save lives in Israel and globally. One of the first speakers, Dr. Yasmeen Abu-Fraiha, one of Soroka’s young doctors recently included in Forbes “30 Under 30” enlightened the audience about the important genetic research project she initiated through her NGO GENESIS to prevent genetic diseases in the Middle East, especially within the Bedouin community. An Israeli Muslim proud of her life in Israel, she just spoke at the recent AIPAC policy conference last month. Honorees included Edward A. Oates, who received the Visionary Award for technology and innovation. Mr. Oates is a co-founder of Oracle Corporation and is a pioneer in the technology and music industries. Jewelry designer Orna Simkhai received the Inspired Leadership Award. Ms. Simkhai is the founder of Shema-Or, a jewelry line that incorporates prayer with precious metals and gems. Shema-Or serves as a model for businesses that seek to meld creativity and compassion with a focus on giving back. Dr. Julie Ratner, Ed.D. received the Healthcare Champion Medal of Honor. 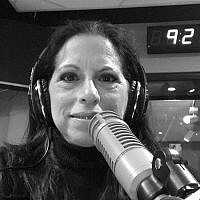 Dr. Ratner is the founder of the Ellen Hermanson Foundation, which helps breast cancer patients and their families cope with the physical and emotional aspects of breast cancer. This important foundation serves the East End of Long Island, by advocating for education on early detection and ensuring access to state-of-the-art comprehensive cancer treatment for the underserved. “I visited Soroka Hospital last October and I was mesmerized by the impressive facilities and care that patients receive in this unique institution. There is a plaque hanging on the wall in Soroka’s entrance that highlights a quote by David Ben-Gurion, a statesman and visionary of the Negev. It says “Every man and woman hides in them mighty forces, and one should only know how to reach them, discover them, and use them”.